Don’t waste your precious time. Remote IT Support is the answer. “The title doesn’t do the service justice. I have never felt closer to my clients than when I am just one click away from not only supporting them but really understanding their problems.” – Toby Hazlett, Director of Computer Zen. Do you value your Time? Take a second of your time and ask yourself how many technical interruptions your home or business systems experienced in 2015? Statistically most businesses experience approximately 3 – 4 interruptions per year and each one lasts on average 8 hours – if you’re lucky! That’s 30 hours minimum of down time for your business each year, and in this fast paced world, potential clients have the attention span of a squirrel so that down time is costing you dearly. Being able to maintain a connection with your customers is vital for a successful business. 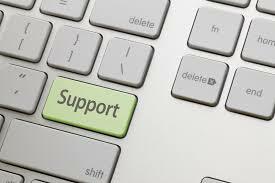 Yet the full potential of remote support has yet to be realized as companies are still opting for onsite IT support. It’s Fast: Normally you would have to wait a minimum of a half day sometimes days for a technician to get to you. Remote support is fast, easy and no fuss. It’s Cheaper: Because we don’t have to drive out to see you, we don’t have to charge as much to cover our costs. It’s Convenient: You don’t need to set up an appointment or wait for your technician to arrive. You can be at the park walking your dog while we make all your problems go away. It’s Personal: With Computer Zen, even if you have gone to visit your Gran in Idaho we can still support you and your business. You can relax knowing that you are dealing with your local IT support guys who know you and understand your needs better than anyone! The Mysterious Stranger: Like all things in life however, there are pros and cons to everything. The biggest concern people face when considering remote support for their troublesome system is security. And we take these concerns seriously! You really do need to trust the person who is remote accessing your computer but arguably, not as much as the guy who actually accesses your home or business and your computer as well. Lots of people will allow a complete stranger to come into their home, sit at their computer and often even take it offsite to repair it. Using our remote support software our technicians are literally not able to access your computer unless you allow them to and it’s just as easy for you to boot them off as well. When you look at it, there is really no more risk in remote support than traditional forms of IT support. Providing you are giving permission for the access, the company or business you are using is reputable and so is the technician, then your risk factor( in this humble person’s opinion) isn’t any higher than getting your TV repair man to come in to your home and fix your television. Anything that involves a person you don’t know does carry a certain risk – that is life. You can minimise your risk factor by dealing with people and businesses you know or were recommended to you. The advantage in using small businesses (like us) is that you know who we are, and if you know us – then that’s one big step closer to being able to trust us. Never allow someone to access your system unless you have some element of trust there first. Remote It support also has the added bonus of allowing you to sit there and unobtrusively watch every step the technician makes – If you’ve got the time on your hands. In an ever changing, constantly flexing and challenging world one of the surest commodities we all possess is time. In Business time is money. In life time is more precious than money. Business people, working couples and parents, would agree that if there is a way to save yourself some time – then you should take it. If your staff productivity grinds to a halt because of an IT problem, then you may as well throw your cash in the rubbish bin. If you are missing priceless time with your family because of time wasted on a broken machine – try something new. Remote Support sounds great! How do i get started? Sit back and relax as Computer Zen takes care of all your IT problems! The only thing that will stop us from helping you remotely is you have no internet connection or your system does not actually power on .